What's Rarer than a Unicorn in Silicon Valley? A Female VC. As I hustled my way into the venture capital industry in 2014, I did what many do: I had endless coffees and phone calls with any VC I could meet. In the end, I met with 32 male investors and only 6 women across 13 different firms. Surprisingly, that ratio far over-represents women in this industry. The venture industry is overwhelmingly male dominated. Only 8% of partner roles at the top 100 VC funds were held by women, according to the Crunchbase Women in Venture 2017 Report. That's 64 women out of 752 partners. For comparison, there were more women selected to compete in the 2018 Winter Olympics for team USA (109) than there are women selected as partners across these top VC firms. What's more, there are almost 4X more venture-backed unicorns (232) than female partners. Suddenly female investors feel like the rarest commodity in the Valley. Friday, the first day of Women's History Month, I co-hosted a panel discussion at Stanford Graduate School of Business on the future of women in venture capital. The VC club, Entrepreneur Club, and GSB Alumni Relations welcomed three powerhouse general partners: Maha Ibrahim (Canaan Emily Melton (DFJ and Renata Quintini (Lux Capital). These investors shared their candid insights and goals for the venture industry and were interviewed by Alyssa Rapp, GSB lecturer and CEO of Surgical Solutions. As I've embarked on my own journey to become a GP, I've experienced moments where I've lacked clarity as to how to move forward along the path. Because there are few examples of women venture capitalists who have come before me, the steps to take aren't always obvious. Last week's panel helped distill some of the major learnings that they have taken from navigating their own path. First achieve individual success. Then pull up the others around you. With social dynamics and ingroup bias at play, women often have to work harder than men to even get access to the same deals — let alone execute on them and have the opportunity to see the returns. That hard work to gain access comes in many forms: sharing deals with other women, befriending the men who will share openly, and developing a personal brand so the entrepreneurs come straight to you. In my own career, the first goal is to earn my own seat at the table as a GP through stellar returns. The second goal is to use the power of that seat to pull other women into the industry and up the ranks, as Maha has done for me at Canaan. I have leaned on an informal community of female investors to share deals and resources, worked at startups like @BranchMetrics and @Greenhouse.io to build deeper relationships with entrepreneurs and operators, and have regularly spoken on panels and at conferences to share my market knowledge with the broader industry. Find a sponsor and find a firm where you can perform. Research from Catalyst and McKinsey indicates that men are consistently promoted based on their future potential and others' belief that they can grow into a role. Women, on the other hand, are often judged based on their past performance. To close that gap, women need male and female sponsors, not just mentors, who will be their vocal champion in supporting them for promotions and opportunities, as emphasized by Harvard Business Review. The three women on Friday's panel are great examples of sponsors both inside and outside of their organizations. Because women can't rely on promise in order to get promoted, Emily stressed the importance for rising female investors to seek environments that allow them to excel in their performance. If, unlike men, the default is to promote women based on their realized returns instead of their potential returns, women at minimum must have the resources and opportunity to exhibit their monetary impact. For me, this means being at a firm like Canaan where I have a strong sponsor in Maha and we have strong support for diversity across the entire partnership. What's more, Canaan provides the setting for me to excel in my performance by sharing the collective resources and relationships of the partnership with me, allowing me to build out my own focus areas within the firm, and giving me internal and external credit for the deals I source and support. As a VC, power and influence have different meaning. “The board seat, voting power, and all of the documents that come with it are power. But that is one point in time. It is the late night conversations, trust, and relationship that you build with an entrepreneur that is true influence. Influence is ongoing,” Renata shared. As a female investor, there have certainly been times when I felt less powerful than the men in the room. Intimidated by their tenure and the apparent but unspoken bond of the “boys club,” I had moments where I felt less empowered to speak up or share a different opinion. While it is still critical for me to exert my power in those moments, the major assets I have cultivated outside of the board room are my ongoing relationships with entrepreneurs. The strings of WhatsApp messages at 6AM, my willingness to jump in to rebuild a model at the 11th hour, the fact that I remember the name of their dog – all build a sense of trust and reliability that allow me to have influence with them over the long-term. Both power and influence are necessary, but investing in influence first may have the better long-run returns. There is clearly no one-size-fits all answer to fixing gender and equality in venture capital. The combination of tactics each woman takes will be unique to her and her skill set. However, Friday's panel gave me new steps to follow in accelerating my career as a woman in VC and I am committed to employing their advice to be a driving force for change. 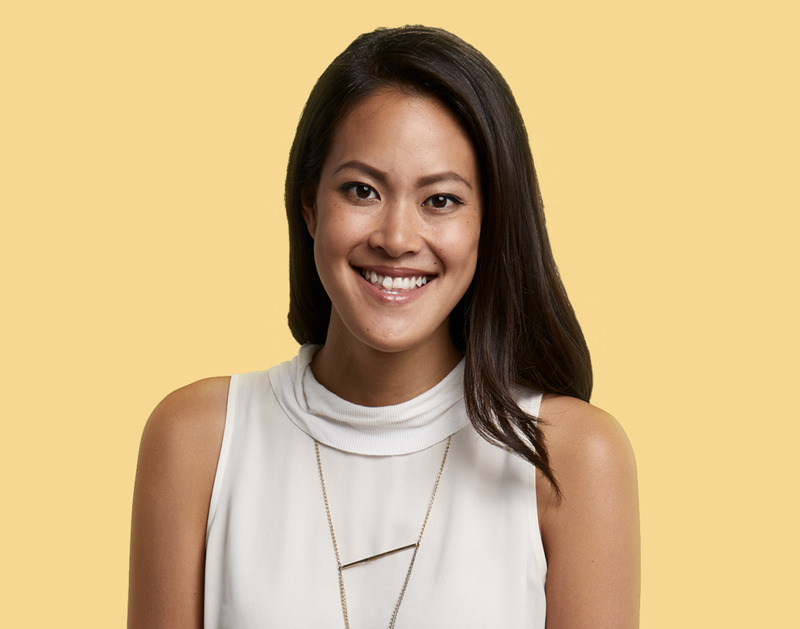 Laura Chau is an Associate at Canaan Partners.